It’s been 20 years since Final Fantasy VII launched on the PlayStation, propelling RPGs into the mainstream and inspiring any number of unfortunate tattoos. You’re going to see a lot of appreciation pieces coming out in tandem with the anniversary, though none are likely to touch Polygon’s latest labor of love. 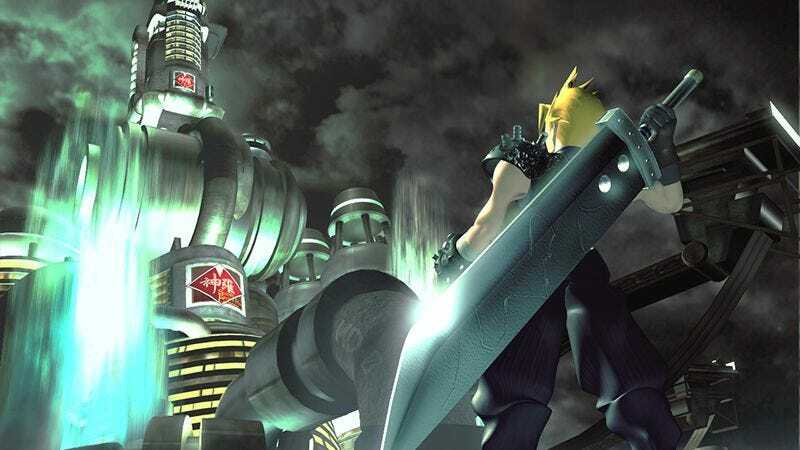 Essentially an online novella, Matt Leone’s comprehensive oral history of the making of Final Fantasy VII took more than two years to come together. Across interviews with more than 30 of those involved with the game, Leone’s piece tracks the early days of gaming development studio Square through the game’s development, success, and legacy, wrapping it all up with a moving portrait of how money and politics inevitably transform even the most pure of intentions. The piece also provides in-depth character sketches of personalities like Square mastermind Hironobu Sakaguchi and Tetsuya Nomura, the artist behind Cloud Strife and countless other RPG icons. Their genius is explored alongside their hubris—especially revealing is an entire section exploring Sakaguchi’s ill-fated spin-off movie The Spirits Within, a prime example of success and ambition running wild. I think [Final Fantasy VII’s success] changed [Sakaguchi’s] style in a slightly negative way. [Laughs.] He thought he could do anything within the company. That’s why he started investing even more money in Final Fantasy the movie, which became one of the biggest flops. There’s plenty to sort through here, including Square’s uneasy split from Nintendo, the development of the game’s score, the fact that it briefly starred a guy named “Detective Joe,” the controversy surrounding Barret’s localization, and the revelation that, at one point in the game’s development, a lot more main characters were going to die besides just Aerith. When a character in a video game dies, no one thinks it’s that sad. They’re just characters in a game, after all—you can just reset the game and try again, or you can always revive them somehow. I felt that their lives just didn’t have much weight. With “life” as our theme for FF7, I thought we should try depicting a character who really dies for good, who can’t come back. For that death to resonate, it needed to be an important character. So we thought killing off the heroine would allow players to think more deeply about that theme.